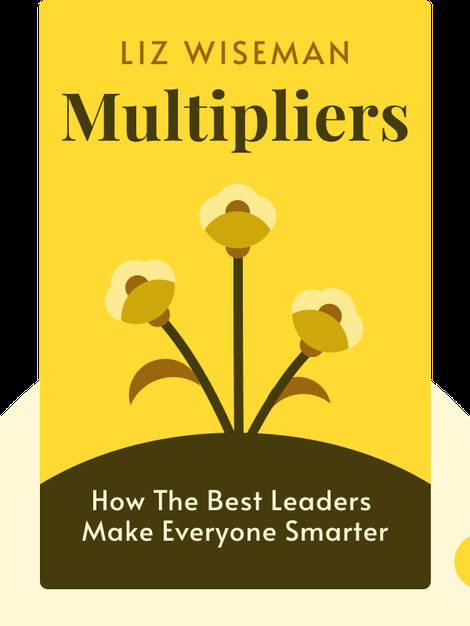 Multipliers (2010) examines the difference between good leaders, known as Multipliers, who can join any team and make it flourish, and bad leaders, known as Diminishers, who can drain any team of its energy and drive. 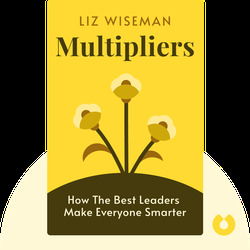 Author Liz Wiseman explains how to recognize the different types of Multipliers and Diminishers, while comparing the skills you should strive to develop with the ones you should avoid at all cost. Liz Wiseman is a researcher and speaker, as well as the executive advisor and president of The Wiseman Group, a leadership research and development center based in Silicon Valley. She has written three best-selling books, The Multiplier Effect, Rookie Smarts and Multipliers, and continues to advise and lead strategy and leadership forums worldwide.